Kidney patients should cook with spices, not salt. Those looking for diet and cooking tips for kidney failure should consult a doctor or registered dietician that specializes in this type of medical condition. Kidney failure, also known as renal failure, is a serious and life threatening illness that should be treated by a medical professional. Kidney failure occurs when the kidneys fail to adequately filter toxins and waste products from the blood. This results in toxins and waste products building up in the blood itself, which can lead to a whole host of additional health problems. Diet and cooking tips for those with kidney failure can change based on what stage of renal failure you are experiencing. This is measured by determining your glomerular filtration rate (GFR), and a doctor will be able to make suggestions and recommendations. Though diet changes will generally occur as the kidney disease progresses or improves, there are some basic diet and cooking tips for kidney failure to keep in mind. If your diet limits protein, it's important that you work to get in enough calories through other foods. In some cases, it may be recommended that you consume simple carbohydrates and sugars, as well as foods low in saturated fat, in order to keep your calories high. Though protein is often controlled in kidney failure patients, it's important to consume enough protein to maintain muscle mass and to allow the body to properly function by repairing tissues, fighting infections, and other important bodily functions. Watch your sodium, both the sodium that's already in pre-packed foods and in your cooking. Elevated blood pressure, which is affected by sodium levels, can often work against kidney disease. Limit added salts in your recipes and check packaged foods for sodium content. 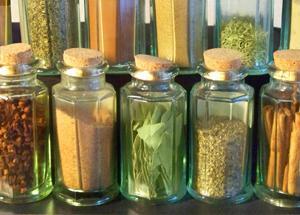 Flavor foods with herbs rather than salt during cooking. Reduce the amount of phosphorus in your diet by limiting dairy items, nuts, beer, and other phosphorus-rich foods. Dietary supplements may be necessary in order to regulate certain vitamins, such as calcium and potassium. A registered dietician will be able to give you a recommended dosage for these types of vitamins or for a multi-vitamin. Obesity can only complicate kidney failure. A medical or nutrition professional can help you safely lose excess weight. Gradual weight loss is the best way to lose weight and to keep weight off. Generally, water is not restricted. However, depending upon what stage of kidney disease you are currently facing, your doctor may limit your liquids. It's important to follow the advice of a medical professional when it comes to your fluid intake. Cook a variety of foods to ensure your body gets multiple vitamins and minerals daily. This can help you feel better and healthier. It can be very overwhelming and frustrating to face an illness like kidney failure. There are many professionals available to help answer your questions and to provide diet and cooking tips for kidney failure. Ask your doctor for a specialist or search online to find practitioners specializing in the disease. For more information about kidney disease, visit the website for the National Kidney Foundation.